Congratulations to Jovin and Jovan for being awarded The Lee Kuan Yew Exemplary Student Award 2017. Jovin and Jovan participated actively in numerous school activities and events such as camps, Metta Walks, Metta Run @ East Coast as well as the Runninghour 2016. 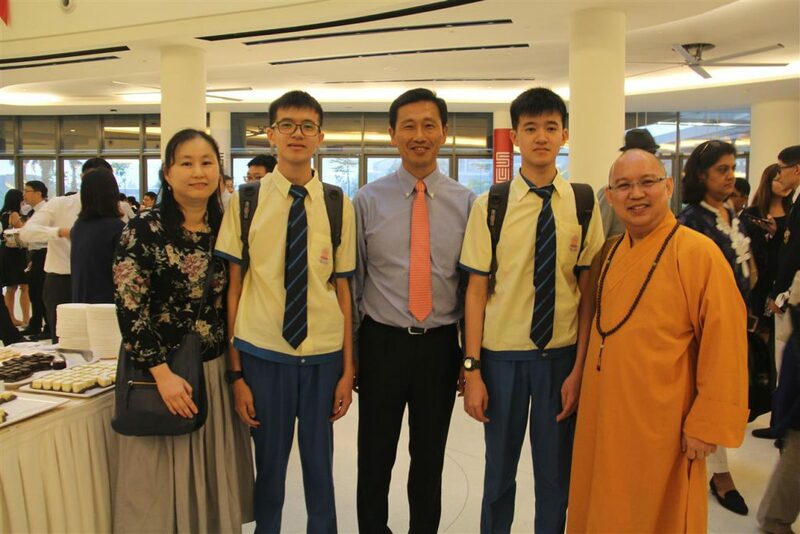 Both volunteered to clean up several residents’ homes in Bedok together with his classmates. They both did it with great joy, and demonstrated good attitude with the cleaning tasks. Both of them are members of the Metta Simba Scouts Group, and in leadership position to help teachers with tasks and support the younger students in the group. Both participated in all the national scouting events which includes the SG50 Jamboree, Camp Possible and Special Needs Games Day & Campfires. On one occasion, the brothers offered to help an elderly lady who was struggling to carry a trolley up the bus. A member of the teaching staff who witnessed the good deed felt both Jovin and his brother acted with the utmost sincerity in wanting to help the senior citizen. 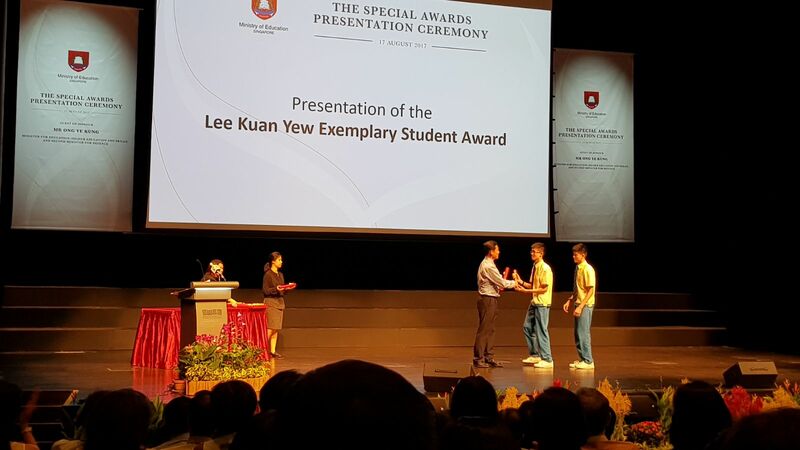 The Lee Kuan Yew Exemplary Student Award. This award affirms the resilience and hard work of students from our 20 government-funded special education schools, who have risen above the odds to be exemplary role models. Our government-funded SPED schools have come a long way in providing a meaningful and fulfilling education for students with special educational needs. A key recent development is the inclusion of children with moderate-to-severe special education needs under the compulsory education framework with effect from the 2019 Primary One cohort. Further, all special education schools now have a Transition Planning Coordinator. These developments, together with the launch of the Lee Kuan Yew Exemplary Student award, signify the increasingly inclusive approach in education, and our commitment to help every Singaporean child be the best that he can be. Today, among the 25 recipients of this award, is a pair of twins, Jovin and Jovan. Jovin and Jovan are students of Metta School, and they exemplify their school values of compassion and resilience. They have been active members of their CCA, the Metta Simba Scout Group, since they were 13. 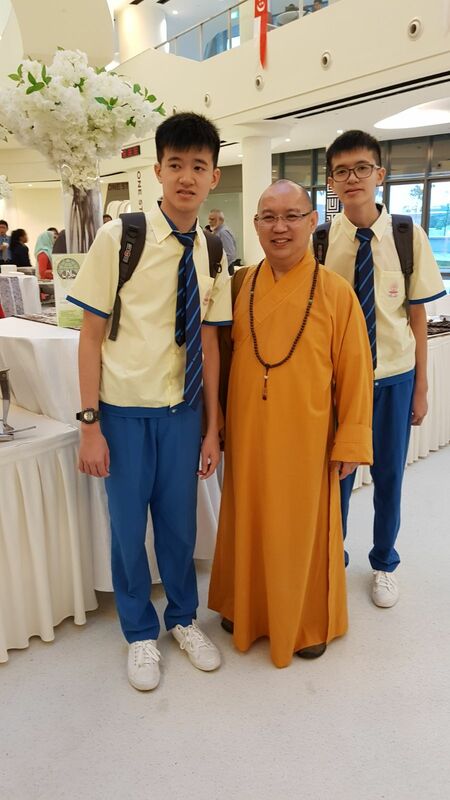 As participants of their school’s overseas Values in Action programme, the twins helped residents in Batam build a water irrigation system to supply water to a farm. Jovin and Jovan have consistently demonstrated care and concern to members of the community, and touched the hearts of many in the school community. 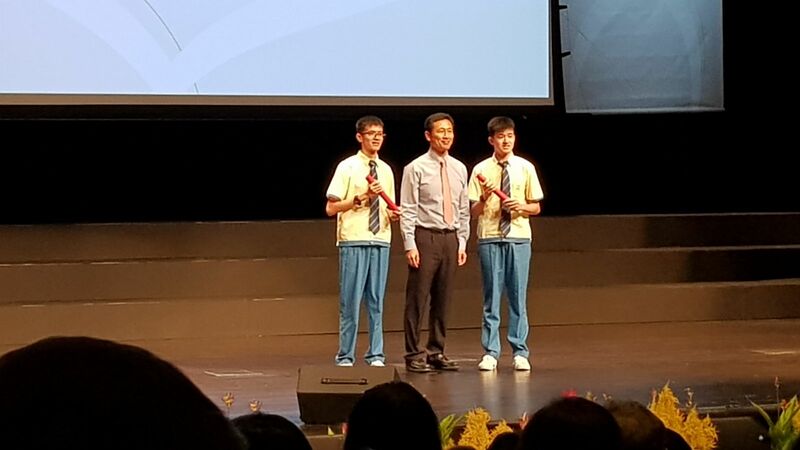 I would also like to take this opportunity to express my gratitude and acknowledgment of all parents, caregivers and teachers of the recipients of the LKY-Exemplary Student Award. Thank you for your love and dedication in nurturing these students with sound values, big hearts and the self-belief that they can contribute to others in society.